Doga, BirdLife Turkey and Karacabey Municipality teams discovered a major stopover area for Europe’s Great White Pelicans. The site is a so far unnoticed flood plain in Bursa, Karacabey, Marmara Region of Turkey, which hosts at least 50 percent of the European and five percent of the world population of the species during spring migration. 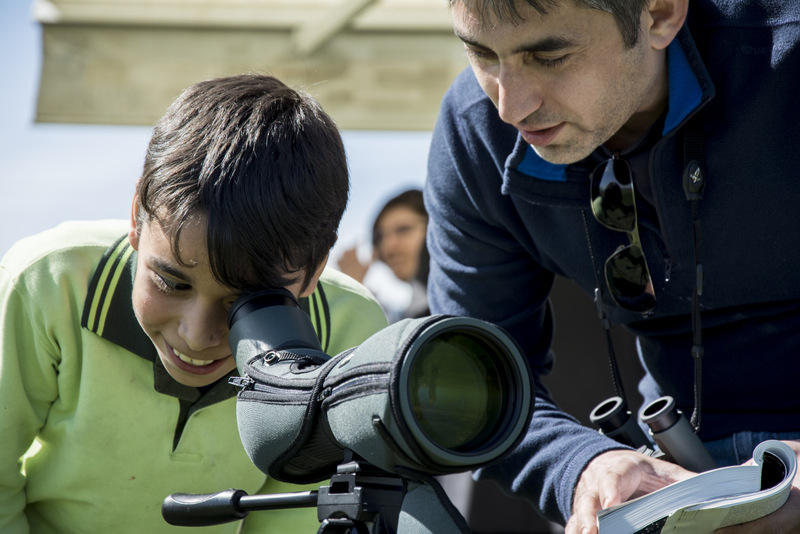 This major discovery is a result of the Champions of the Flyway project launched in June 2017. 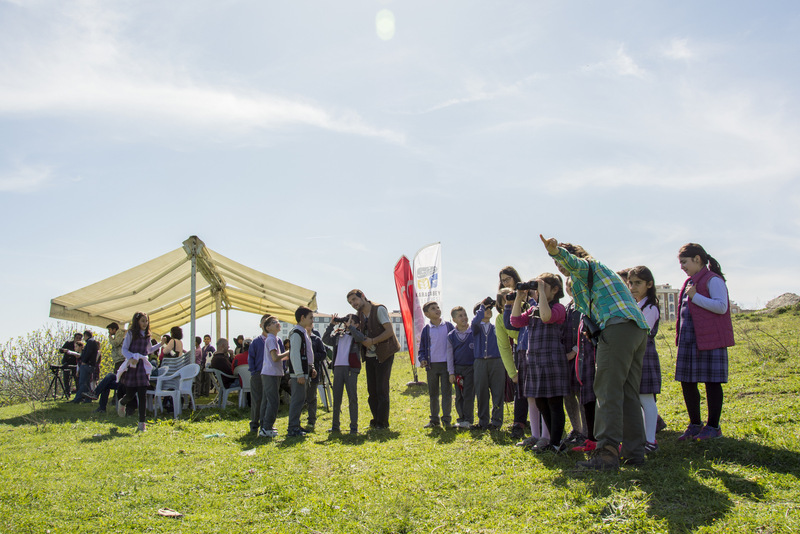 Earlier this week, Doga, in cooperation with the Karacabey Municipality and other local groups organized a monitoring event. 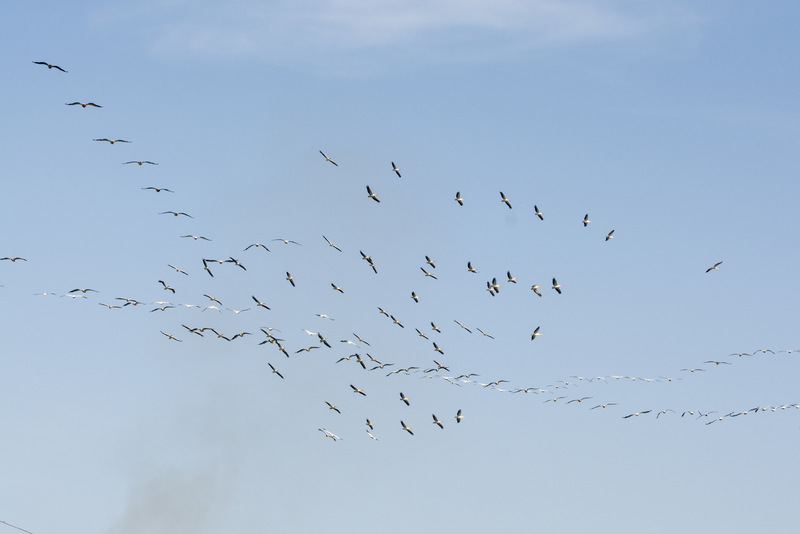 Over three days of systematic count, more than 15 thousand pelicans are counted at a so far unnoticed small wetland, the Karacabey Floodplain. Massive groups of Great White Pelicans use this area as a roosting and feeding place up to a period of one week. Local bird experts noticed that the pelicans start using this area by mid-March until end of April. However, the peak period is first week of April when the recent count is carried. While the number counted birds over three days is equivalent to 50 percent of the European population and 5 percent of the world population of the species, the actual size of the population using this area is thought to be much larger, corresponding to the entire European flyway population of this species. 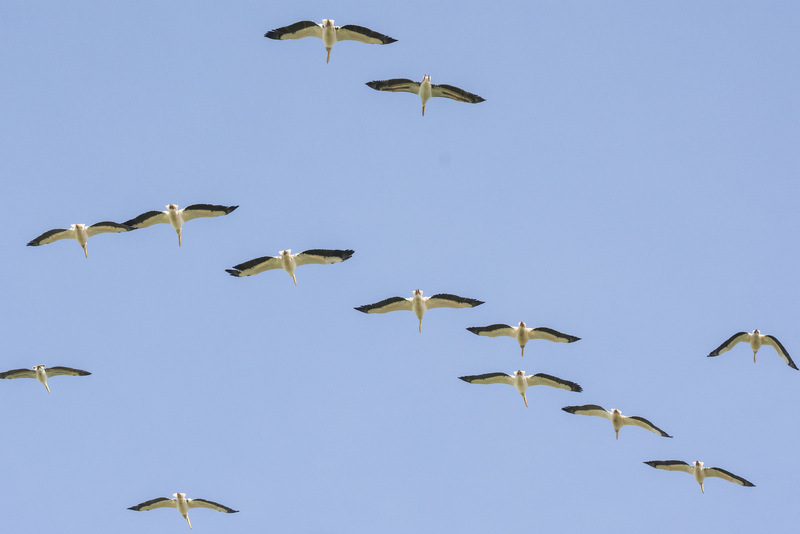 After resting for few days in Karacabey, Great White Pelicans continue with their migration to their breeding grounds in Europe. 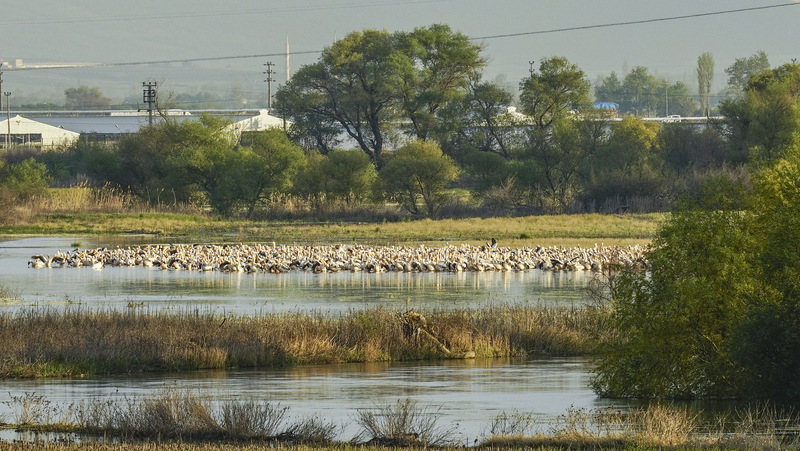 Great White Pelican is not the only species using this newly identified wetland, Karacabey Floodplain. Doga team noticed that significant numbers of Dalmatian Pelican and the Glossy Ibis also use this area.